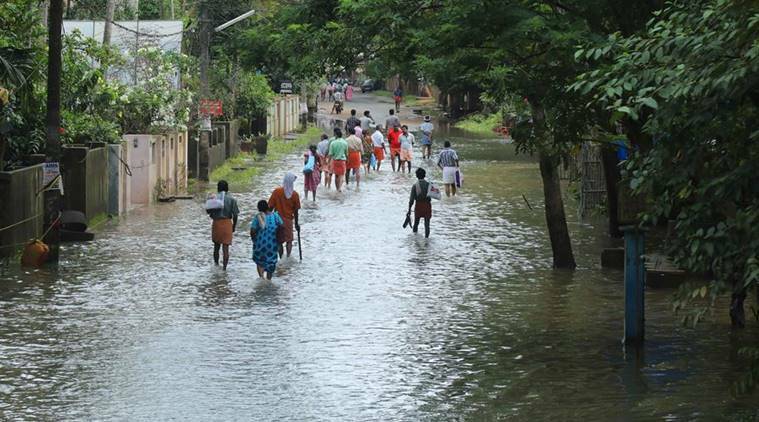 Over 1,400 people, including 488 in Kerala, have lost their lives due to rains, floods and landslides in 10 states so far in the monsoon season, the Home Ministry said Monday. According to the ministry’s National Emergency Response Centre (NERC), 488 people have died in Kerala and 54.11 lakh in 14 districts have been severely hit by rains and floods, the worst in a century. As many as 14.52 lakh flood-displaced people are living in relief camps across the state. Standing crops on over 57,024 hectares of land were damaged in the southern state. Forty-three people have been missing — 15 in Kerala, 14 in Uttar Pradesh, five in West Bengal, six in Uttarakhand and three in Karnataka, while 386 have been injured in rain-related incidents in the 10 states.